Application for automated issues creation out of Zendesk Support requests in Flowlu (Agile-projects module). 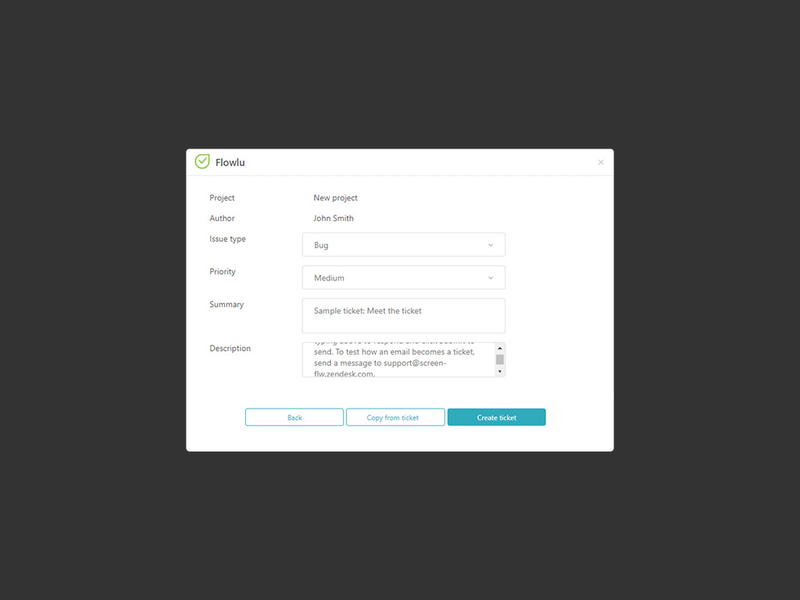 Flowlu application connects support and web-development teams providing single workspace. Information on connected issues will be displayed as links to Zendesk tickets, connected tickets - in Flowlu issues. From now on both teams will be informed! Appoint exact match of one or several tickets to problem or request (issue) in Agile module of your Flowlu account. 1 click – and task containing all required information is created! 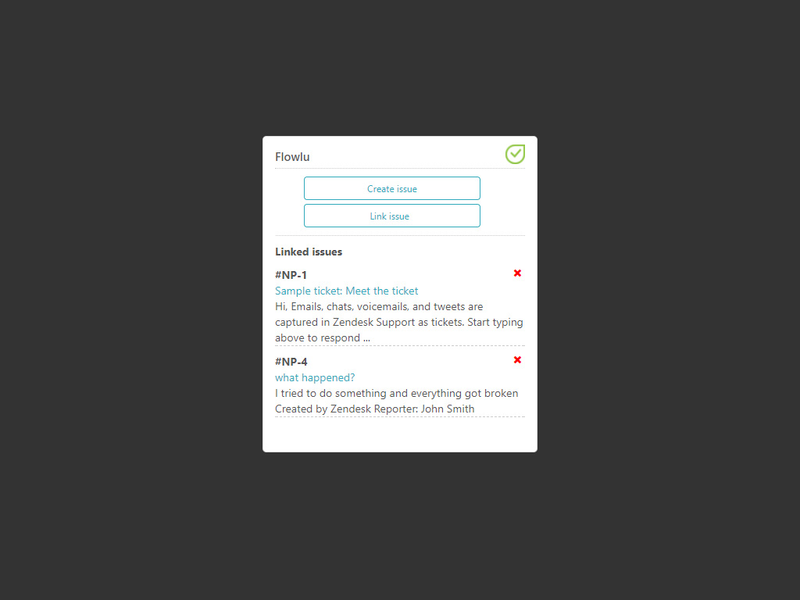 Each ticket in Zendesk can be connected to several issues, each issue – to several tickets. Thanks to that, developers will see which tasks are priorities and which can wait. Furthermore, moving to your Flowlu account you can chose completion date assignees and sprint for each task. No more disrupted deadlines! 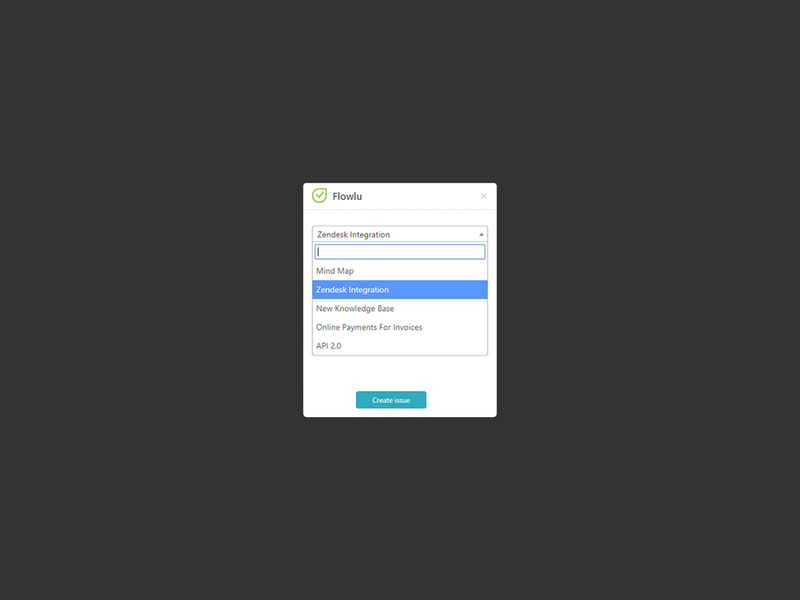 To install Flowlu application you have to be Administrator in your Flowlu and Zendesk accounts. In menu to the left go to “Application” field, Then find “Marketplace” field and click on it. Using search string find Flowlu application. Click on Flowlu application. Press “Install” button on opened page. Log in to your Zendesk account to install application. On application installation page enter API Key and your domain (for example, mydomain.flowlu.com) in Flowlu Domain field. In access settings choose Agile Projects module. After filling in API Key and Flowlu Domain fields press Install button. Application is installed! Now viewing ticket in Zendesk you can create issues in Flowlu.